CLASS OF 2019 - COLLEGE ACCEPTANCES - CONGRATULATIONS! · March 27, 2019: SAT School Test Day for all juniors. Starts at 8:00 am and ends around 1:00 PM. DESTINATION COLLEGE: Saturday, March 30, 2019 from 8:30am – 2:00pm: The 20th Annual Destination College is New Hampshire’s biggest college convention for high school juniors and their parents at Plymouth State University. Registration is required and now open at www.destinationcollege.org. This is a FREE day of college planning workshops and a great college fair with over 60 colleges and universities participating. Pick what you are interested in! It is sponsored by the NHHEAF Organization in partnership with NH Colleges & Universities Council (NHCUC). SCHOLARSHIPS: There are many scholarships available to students. Mrs. Fisher has passed out the National, State and local list to all seniors and they were mailed home to all senior parents. (see link below - scholarship listing 102018). Scholarships are listed on the daily notices and also posted in the guidance hallway. If you need more information, please contact he guidance office. ✓ Applicant must be at least a senior in high school at the time the application is submitted. College students and non-traditional students are eligible and welcome to apply. guardian that is a member of the NH Electric Co-op. been provided to the NHEC Foundation Scholarship. community contributions; educational and career objectives and overall scholastic achievement. ✓ Previous winners may reapply and are eligible for additional scholarships. NH Scholar Scholarships at NH Institutions. For several years NH colleges have been rewarding NH Scholar students with additional scholarships. For a full list of these scholarship please click here. The NH Fisher Cats Scholarship is live! The Fisher Cats Foundation is dedicated to bettering the lives of young people and is proud to support our youth through the Fisher Cats Foundation Scholar-Athlete Scholarships. Each year, the foundation awards $30,000 in scholarships to ten New Hampshire students and two Massachusetts students. Application is due May 1, 2019. See link below. High School Craft Education Scholarship (League of NH Craftsmen): The League of NH Craftsmen is pleased to offer up to a $1,000 scholarship to a deserving graduating senior pursuing an education in the field of craft related studies. Application forms are available in the guidance office. This application may also be found online at our website: nhcrafts.org. see link below. DEADLINE: APRIL 1, 2019. PINE HILL SINGERS' MUSIC AWARD: The Pine Hill Singers are pleased to offer a music award of $500 to a graduating high school senior from the North Country. The award is open to students attending public or private high schools, as well as those who are home schooled. Qualifying students must have demonstrated talent and proficiency in music and have shown involvement in school or community performance groups. The award must be used to further the recipient’s music development. Application forms are available from music teachers, advisors and guidance counselors or by contacting the chairperson of the Music Award Committee, Nancy Rapoport, at nancyrapoport@gmail.com or (603)837-9516. The completed applications must be postmarked or emailed by May 1, 2019. 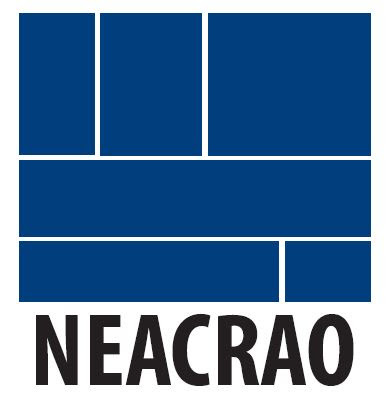 Each year, the New England Association of Collegiate Registrars and Admissions Officers awards $2000 scholarships to three high school graduates who will be enrolling in a NEACRAO member institution for the fall semester of that year. Each recipient of the scholarship is selected from candidates who are recommended by New England secondary school guidance professionals. For complete scholarship information, visit our website. Scholarship applications must be submitted by March 15, 2019. 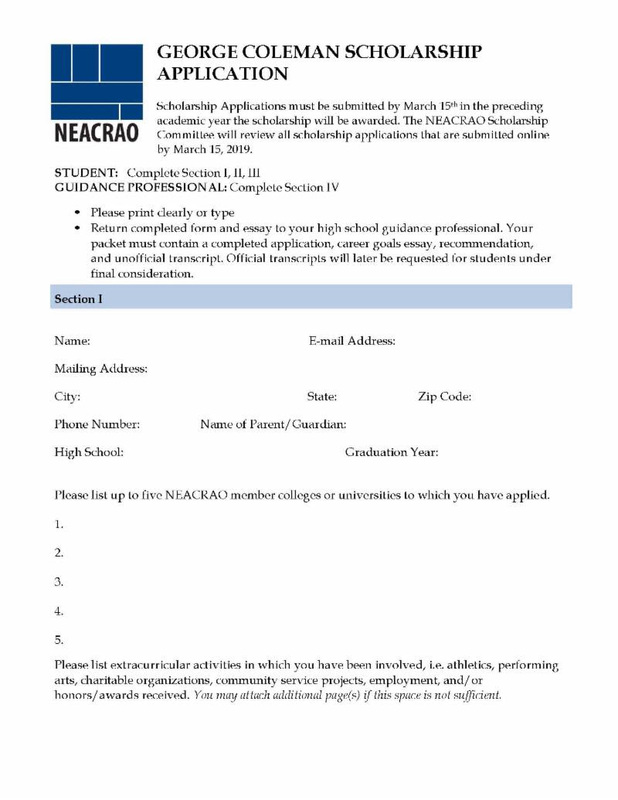 The NEACRAO Scholarship Committee will review all scholarship applications that are received by 11:59 p.m. on March 15th. Application forms are available on our website. Please note submissions should be sent to neacraoscholarships@gmail.com. Questions? Contact Tara Walor at twalor@mit.edu.